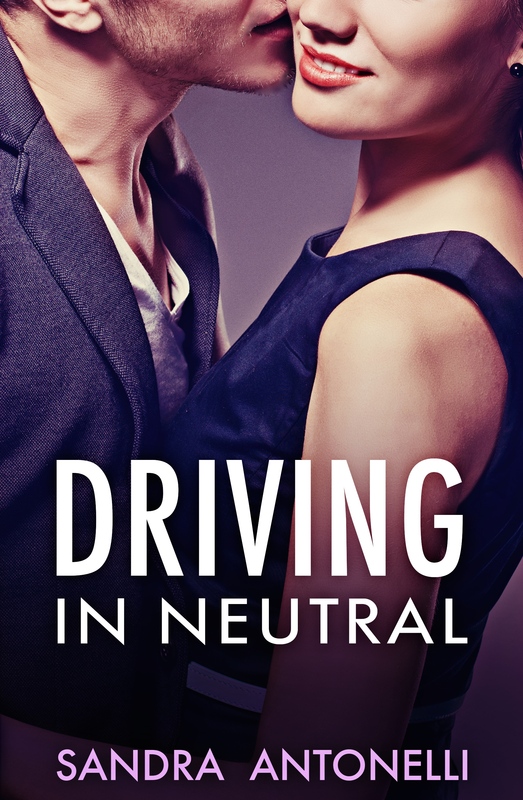 In the 75 days leading up to the release of my romantic smartass comedy Driving in Neutral, a love story about claustrophobia, I’ve been running a series on, well, phobias. Over the last 51 days, a few authors have dropped by to confess to all sorts of phobias, from arachnophobia, to a fear of escalators, to the horror of what lurks beneath a teenage boy’s bed. Today I welcome a psychologist to the blog. No, it’s not my beloved Dr Shrinkee. 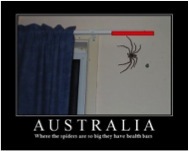 Hmmm, well, when Sandra invited me to talk about phobias the traditional came to mind first, I must confess…spiders. Unfortunately that isn’t going to work for me. You see, I actually like spiders. I know, shock, horror. I’m the first to admit that I’ll jump on the nearest piece of furniture and scream like a banshee if I see a cockroach but spiders…well. I had a pet spider once. Wolfie. OK, if you’re thinking, “PET SPIDER!!! Is she certifiable?” That’s pretty understandable. If you wondering, however, what my non-typical liking for spiders has to do with my phobia…read on. You might know that one of the techniques used to help people overcome their phobias is Cognitive-Behavioural Therapy, CBT for short. This strategy is all about replacing unhelpful cognitions (or thoughts) with more helpful ones. As a trained Psychologist, I’m all about using techniques that work and for me, talking about something I don’t fear (but which a lot of people do) helps me talk about something I DO fear (which most people don’t). So, before I tell you about my absolutely obscure phobia (so obscure, in fact, that there is no name for it), let me tell you about Wolfie. At the ripe old age of 21 I moved into my first flat. It was on the third floor of a very old building and there were no screens on the windows. My bedroom window looked out over a huge tree and one of the branches practically sat inside the window frame. It was lovely to sit there in the evenings and listen to the cicadas and know the peace of solitude for the first time in my life. Growing up in a family of five, quiet time was hard to come by. One night I came home from work and Wolfie was waiting for me on one of my bedroom walls. The light from the moon outside threw his shadow across half the surface and I have to confess that my first sighting was quite intimidating, especially against the white backdrop of the bare wall. Wolfie was twice as big as my hand. He was dark brown and very hairy and I knew from the first moment I saw him that getting him out of my apartment would be a huge battle. He was way too big to fit into a jar, I’d have had to go out and buy a family pack box of ice cream to put him in but there was no way, living on my own, that I’d get through so much dessert. Besides, I was watching my figure! So I sat on my bed (which, given how tiny the apartment was probably put me within a metre of Wolfie) and I introduced myself. Wolfie was really shy at first and didn’t have much to say but he was a really good listener. I explained that I was living on my own for the first time and I could really use some company, so I was happy to share my bedroom provided he stayed on his side of the room. I gave him the whole wall (I wasn’t using it) and we came to a quiet truce that stayed in place for months. He wasn’t always there when I came home and sometimes I worried that he might have gotten himself into trouble (there were some huge birds competing for tree space and more than once I had to battle one flying through the window) but he’d always show up a few days later looking none the worse for wear. I confess to missing him when he wasn’t there and it was always nice to fall asleep with him watching over me. Well, as with most relationships ours hit the skids when Wolfie had to start competing for my attention. Yep, I started dating, and the men in my life were strangely reluctant to share me with Wolfie. It all came crashing down around me when I got engaged and my husband-to-be gave me the final ultimatum – it was either Wolfie or him! It was not an easy choice. I’m still married 19 years later but there’ll always be a special place in my memory for Wolfie. Phew, that was reaffirming! J OK, now about my phobia…..well, don’t laugh but I am absolutely petrified of…lighthouses. Yep. Don’t make me say it again. Just the thought…shivers up and down my spine. They are huge and intimidating and they…breathe. Have you ever been near one that’s “active”? It pulses…like a heartbeat. And if you stand close you can hear it…growling, like a waiting predator ready to strike down the small defenseless humans…I can’t go on, it’s too terrifying. I’ve even managed to get a picture of the actual culprit – this is the very lighthouse that started me on my nightmare journey into fear. So there you have it, my big, dark secret. Fortunately as a writer I can make sure there are no lighthouses (or spiders for that matter) in my books, just a tall, dark and handsome alpha male and the woman special enough to tame him. Trish Carter is chasing the career opportunity of a lifetime, and nothing is going to stand in her way. After a failed marriage and years of self-doubt, she needs her business proposal to succeed, and there’s only one hurdle left: presenting to the Board of Directors and charismatic CEO, Keith Donnelli. So it can only be the stress and extreme tension that leads her to jump the hot stranger in the elevator. But the unexpectedly explosive encounter puts all her plans in jeopardy, when the stranger isn’t a stranger at all. Now, her whole future rides on how well she can resist the temptation of sleeping with her boss. Will Trish finally have the chance to make her secret dreams come true or will following her heart destroy her chance at a future? Thanks Elsa, they do say confession is good for the soul 🙂 Felt very liberating. Thank you for sharing your phobia with us Alexa! Speaking of Cognitive-Behavioural Therapy – I have the perfect treatment! I have a short story out in November that is set in a lighthouse and it will be free as part of an anthology with Noelle Clark, Susanne Bellamy and Eva Scott. Thanks for confessing your fear on a public forum, Alexa!